How can you afford to travel? 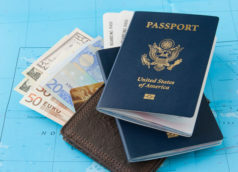 Can you travel cost-effectively without breaking your bank? I have asked a financial expert and writer, Tatiana Day, to help us save for a holiday. Take it away Ms. Tatiana from Down Under! Simple Tips to Save for a Holiday Let’s face it, we all need holidays. Whether you’re.